Your truck is missing something… what could it be? Of course! It’s missing a customized subwoofer enclosure. Why do you need one? Because your truck isn’t just a truck, it’s your home away from home; it’s your own personal sanctuary when you spend hours on the road. 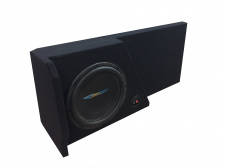 A customized subwoofer like the Chevy Silverado Subwoofer Boxes and GMC Sierra Subwoofer box are precisely what you need to turn your boring old factory audio system into a clear, perfect, crystal quality sound that envelopes you with not just sound but feeling. At Super Crew Sound, we offer our customers the highest-quality Chevy Silverado subwoofer boxes that will fit their vehicles flawlessly – while simultaneously enhancing the sound. Feel that thump thump thump of the bass? That’s your GMC Sierra Subwoofer box, and your heart, matching the rhythm of your tunes. You’ll make everyone jealous of your new system, and when they see it, they’ll think that your truck came right from the factory that way. 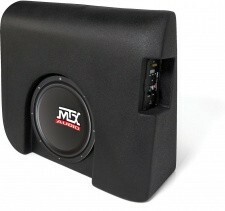 Our extensive selection of subwoofer boxes has been designed to give you an ultimate car audio experience. From superior quality MDF, attractive finish, to precise manufacturing; our subwoofers have many splendid features to make your cab sub sound louder and better. So, what are you waiting for? 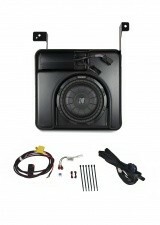 Visit us today and get that bass thump your ride is missing!